Photo credit: Tony Avelar/AP Images. Nick Foles was waived by the Rams two weeks ago, bringing a fitting end to the legendary Foles-Sam Bradford trade that brought joy to literally no one. Hard Knocks, which is following the Los Angeles Rams this preseason, was in coach Jeff Fisher’s office for the phone call. It’s very polite! Probably because Foles requested his release after it became clear that No. 1 overall draft pick Jared Goff would be the starter. 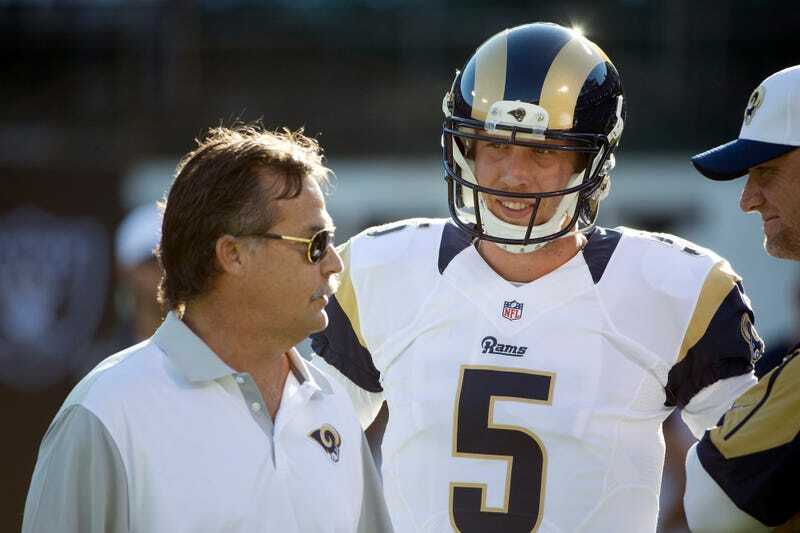 Foles has since signed in Kansas City, reunited with Andy Reid at last.